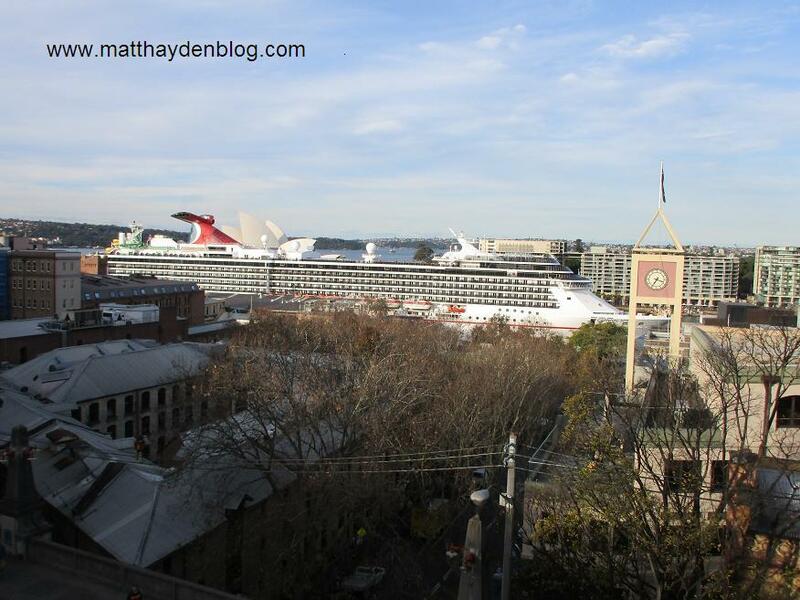 Every now and then a massive cruise ship docks in Circular Quay. It's quite a sight when one does. As well as its jaw-dropping size, you are awe-struck by how the crew managed to maneuver the marine behemoth into such a tight space without incident. 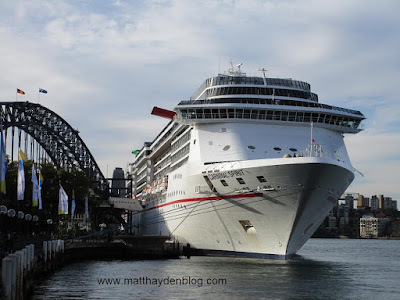 A recent arrival of this kind was Carnival Spirit. Got these shots a coupla days ago. The photo below gives you a sense of just how ginormous it is. Check out the worker in the hardhat below. Then look at the same section of the bow in the shot above. If you see it from the Rocks side, near the beginning of the Coathanger, you get a better sense of its length and height. 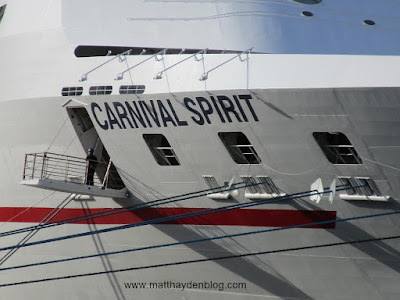 The Carnival ships have a characteristic smokestack funnel with wing-like protrusions to push the exhaust fumes out and away from the boat. 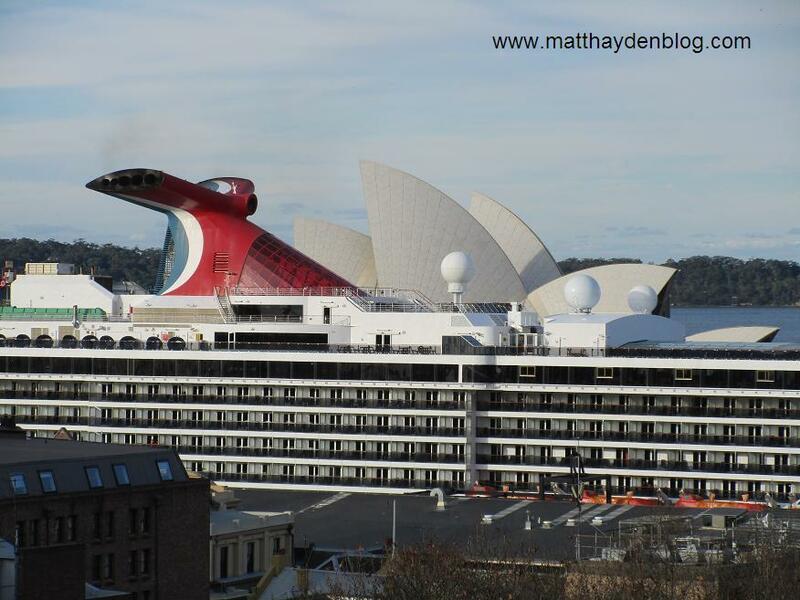 From this angle the sleek and striking feature looked like it could almost be part of the Sydney Opera House! On the subject of exhaust fumes: the carbon footprint of this ship alone must be humongous! Luxury cruise power needs are so jaw-droppingly high that Carnival Corp (with a hundred ships) has actually saved billions of dollars in recent years by becoming more fuel efficient. Laudable, of course. But if they can save that much money by being smart, it gives you an idea about how much diesel they must still be using to keep their fleet moving across the seas. And this is just one company! Pondering this situation I couldn't help but wonder how many of the ship's passengers are climate change believers themselves. Obviously not all -- but I suspect there are quite a few. You have to be pretty cashed up to go on one of these cruises, after all. As recreation activities go, it's way more pricey than getting your "backside trackside", let's face it. And it does seem that highly paid professionals are more likely to believe in catastrophic global warming than the rest of the population. Which begs the question: How on earth do these people think that anything at all can be done to diminish this so-called existential threat to humanity when they themselves can't do their bit and refrain from enjoying these carbon spewing cruises? They're not thinking too hard, obviously. 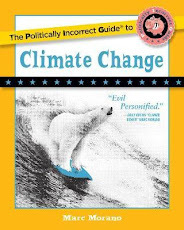 Like so much of this deep green PC madness, their prescriptions are entirely symbolic.